One must take care, when writing about well-connected cultural figures, not to abuse the word iconic. But when one writes about the photographer Annie Leibovitz, one almost has to abuse it. 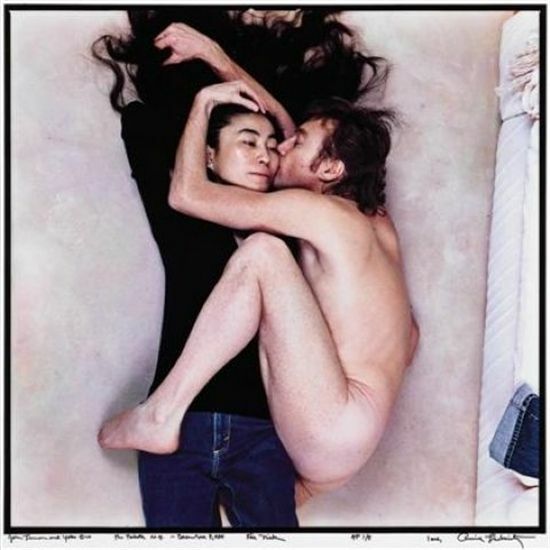 Here we have a woman who took two of the most memorable photos of John Lennon, collaborated (to the extent possible) with Hunter S. Thompson, went on tour with the Rolling Stones, followed Richard Nixon out of the White House the last time he left it, convinced Whoopi Goldberg to get into a bathtub of milk, and loved Susan Sontag. This whole post couldn't possibly contain a complete list of her professional and personal involvement with the, yes, icons of twentieth-century popular culture. Her portraits of them became icons themselves, which, in turn, made Leibovitz herself iconic. For a visually rich sense of the scope of her life and career, look no further than the documentary above, Life Through a Lens. This 2008 production comes from the PBS-distributed American Masters television series, which we featured on Tuesday. Directed by Leibovitz's own sister and therefore possessed of the unusual familial insight you'd expect, Life Through a Lens also includes a great many of the hard-to-interview luminaries without which no profile of this photographer could be complete. We hear from Arnold Schwarzenegger, Jann Wenner, Hillary Clinton, Gloria Steinem, Patti Smith, Mick Jagger, Keith Richards, Bette Midler, Yoko Ono, and George Clooney, to name but a few of her admirers who've held their own at the business end of her camera. In the four years since this documentary, Leibovitz's photographs — now of 21st-century celebrities like Miley Cyrus, Sasha Baron Cohen, Lady Gaga, Rihanna, and LeBron James — have continued to impress in the pages of Vogue and Vanity Fair. Whenever someone rises toward iconic status, Annie Leibovitz's visual imagination can't be far behind.